Hi there Crafty friends! Happy, healthy and crafty New Year for all of you! This week finally winter came to Alabama (smile), so to celebrate I made a winter card for one of my readers that won the prize from this post and she asked if I could send her the card from that post. As I have already sent said card to another crafty friend, I made another one for her. I colored the sweet image with Zig Brush markers. 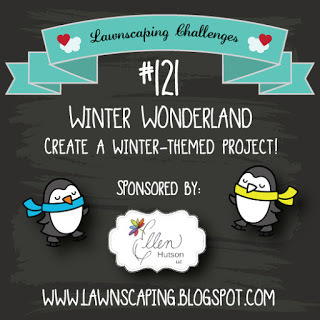 I'm linking this one to the Lawnscaping Challenge Winter Wonderland. Thanks for visiting! Have a blessed rest of the week! 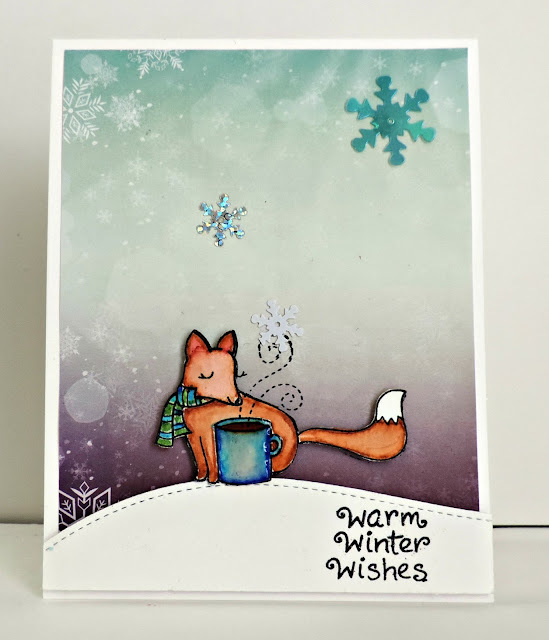 Super cute Loly...love that inky goodness! Awesome background. I am still experimenting with those brush markers! Stay warm! This is a fantastic card, Loly. Definitely worth a repeat. Congrats to your winner. She's truly blessed! What a sweet little card, Loly. I love it! That background is so pretty and the fox is just so sweetly colored!